November 23th 2018: TopVintage won the Most Popular AND Best Shopping Website of the Year 2018 at the annual Website of the Year Award Night! We’re so happy and proud that we’ve won the title ‘Most Popular Website of the year 2018’ in the Netherlands and that we’ve also won the title ‘Best Shopping Website of the year 2018’ in the Netherlands again! Dear TopVintage ladies, thank you so much for your support and confidence in us! November 30th 2017: TopVintage wins, together with the Nieuwe Kerk Amsterdam, the silver and bronze prize for their sponsoring event! Woohoo! 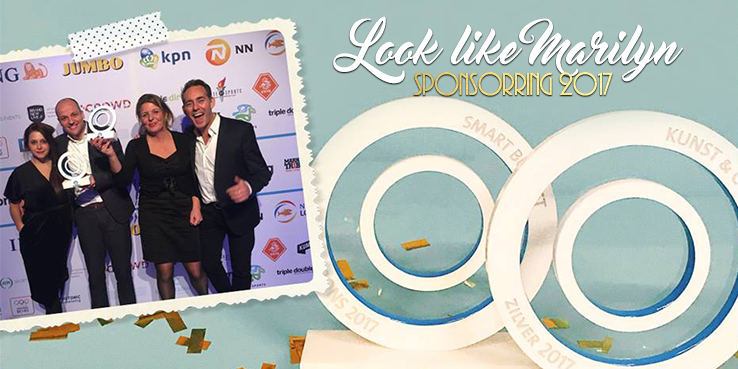 We have won, together with the exhibition centre Nieuwe Kerk Amsterdam, the silver SponsorRing in the category “Art & Culture”, as well as the bronze SponsorRing in the category “Smart Budget” for our Look Like Marilyn event which was held in The Netherlands last year. The SponsorRing is an annual award that recognizes and promotes the best sponsor cases in The Netherlands. November 23th 2017: TopVintage won the award Best Shopping Website of the Year 2017 at the annual Website of the Year Award Night again! We are so happy and proud of becoming ‘Best Shopping Website of the Year’ for the third year in row! Thanks to the high ratings for content, navigation, design and recommendation intention that you lovely TopVintage ladies have given us we’ve won this fabulous award. Thank you sweethearts for your support and confidence in us! Happy Birthday to us! TopVintage celebrates its 9th anniversary! Of course we like to do this together with you, our lovely TopVintage ladies. We are grateful for your support and trust! So let’s celebrate with a month full of fabulous giveaways! We know for sure that you will love them ;-) Do you want to be sure you don’t miss a thing? Then sign up for our newsletter now. 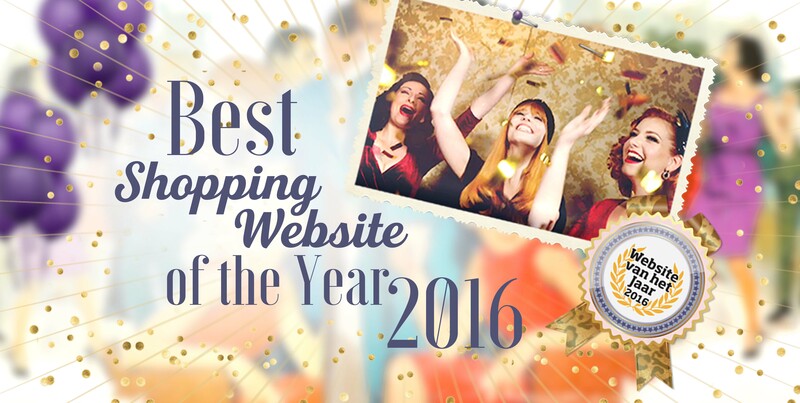 December 1st 2016: TopVintage won the award Best Shopping Website of the Year 2016 at the annual Website of the Year Award Night again! We are so happy and proud of becoming ‘Best Shopping Website of the Year’ again! Thanks to the high ratings for content, navigation, design and recommendation intention that you lovely TopVintage ladies have given us we’ve won this fabulous award. 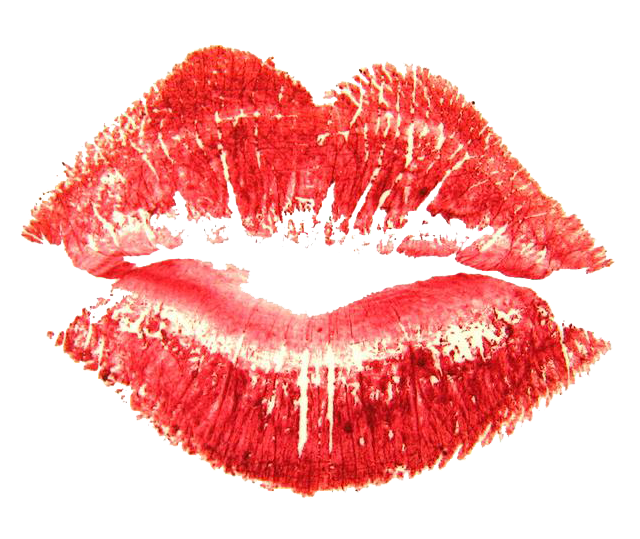 Thank you sweethearts for your support and confidence in us! March 24th 2016: TopVintage won the award Best Webshop Ladies Fashion XL at the Thuiswinkel Awards, again! Great that we received this honourable title again! We’re over the moon and so proud! Once again we won the title Best Webshop Ladies Fashion XL at the Thuiswinkel Awards! You, our dear TopVintage Ladies, have given us the highest ratings for service, communication, delivery, products and user-friendly website. Thank you so much for your support! November 25th 2015: TopVintage won the award Best Shopping Website of the Year 2015 at the annual Website of the Year Award Night! Wooohooo, we are so excited and so thankful! TopVintage won the award for ‘Best Shopping Website of the Year 2015’ at the annual Website of the Year Award Night. You, are lovely TopVintage Ladies, have given us the highest ratings for content, navigation, design and recommendation intention. Thank you so much for your support and trust! Hip hip hooray! The festive week at TopVintage continues! After being awarded Best Ladies Fashion Webshop and Best Fashion Webshop NL 2015 last week at the Thuiswinkel Awards, we celebrate our 7th anniversary today! Thank you so much for your support and trust. March 26th 2015: TopVintage won the award Best Webshop Ladies Fashion XL AND the award Best Webshop Fashion in the Netherlands at the Thuiswinkel Awards! Wow! We are so excited! So proud! TopVintage won the award for Best Webshop Ladies Fashion XL and Best Webshop Fashion in the Netherlands at the Thuiswinkel Awards! We are so honoured! Our lovely customers have given TopVintage the highest ratings for service, communication, delivery, products, user-friendly website and price/quality. Thank you so much for your support. March 9th 2015: TopVintage nominated for best Webshop twice! We are so proud! TopVintage is nominated twice: 'Best Webshop Ladies Fashion XL' AND 'Best Webshop in The Netherlands'. This is the most honourable prize a webshop can win! The first prize is based on customer ratings, the second a jury will decide. The winner will compete on the 'European Webshop contest' in Barcelona this June. The winners of the awards will be announced on March 26th. We are so excited and honoured, thank you all who voted for us!!! 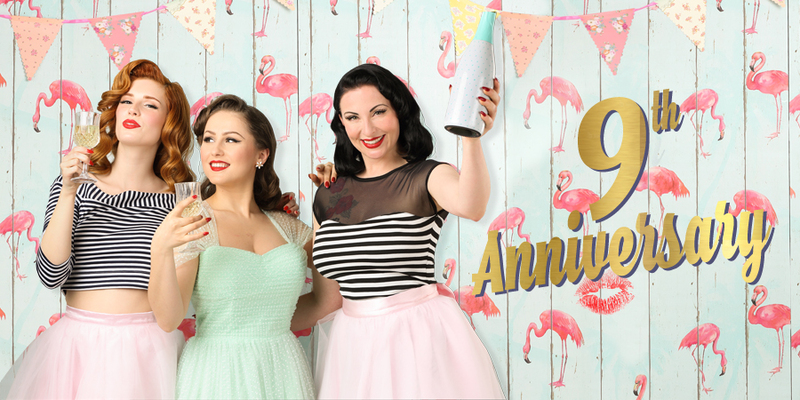 April 1st 2014: 6th anniversary TopVintage! I started 6 years ago in my living room selling second hand shoes... Now 6 years later we are Europe's leading online retro boutique and we have a team of 33 people working with us. Thank you so much for your support! During the ceremony of the Rabo Economy Award Tuesday june 11 TopVintage was announced as proud winner of the startersprijs 2012. Almost the whole TopVintage team was completely dressed in vintage style. We have received this prize as reward for our succesfull contribution to the economic activity in Parkstad Limburg. We are very proud! March 7th 2013: For the third year in a row, TopVintage won the Dutch prestige award for Best Webshop Ladies Fashion! We are proud that we won the official award for Best Webshop Ladies Fashion for the third year in a row. Customers voted massively and gave us the highest ratings for our customer service, communication, delivery, products, userfriendly website, price/quality ratio. We are very proud and thankful: thank you so much everybody who voted for us! Largest online collection of retro & vintage inspired fashion - Pin up your style! Within Europe, TopVintage has the largest variety in exclusive retro clothing inspired on the 1940s, 1950s and 1960s. The very feminine pinup style is our specialty. We have the largest collections from Pinup Couture by Pin Up Girl Clothing, Collectif Clothing, Miss Candyfloss, Glamour Bunny, King Louie, Esther Williams, Retrolicious and Steady Clothing. We also offer vintage inspired accessories, jewellery and shoes, Visit our Brands page to take a look at our complete variety of more than 200 different brands. Everyday, we expand our collection with new items and with restocks, in all available sizes from XS - 4XL. We ship superfast: in the Netherlands, when your payment is credited before 9.00 pm CET (all other countries before 5.30 pm CET), we ship the same day or at its latest the next working day! When ordered in Germany before 12 am CET, your order will be delivered within 48 hours. On top of that we ship for free to The Netherlands, Germany, Belgium, Luxembourg, Austria, France and the United Kingdom! Let yourself be surprised by our quickly changing collection. We add new great items every business day! Check our special section: NEW!